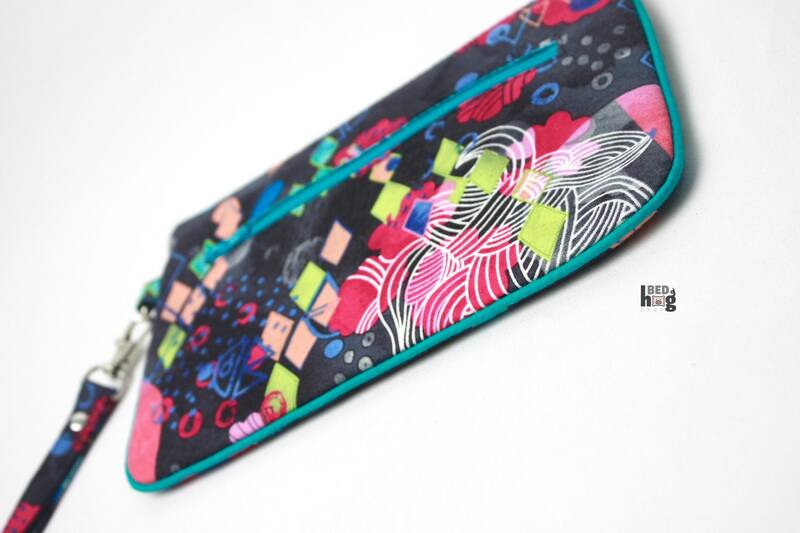 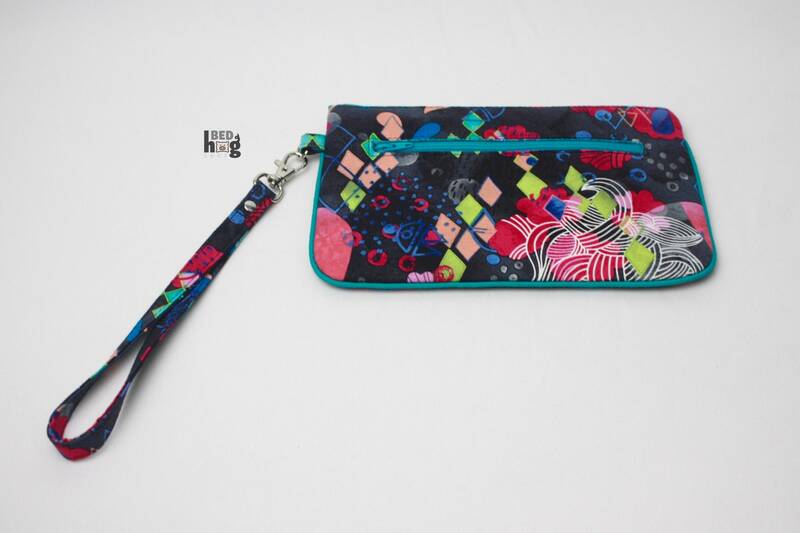 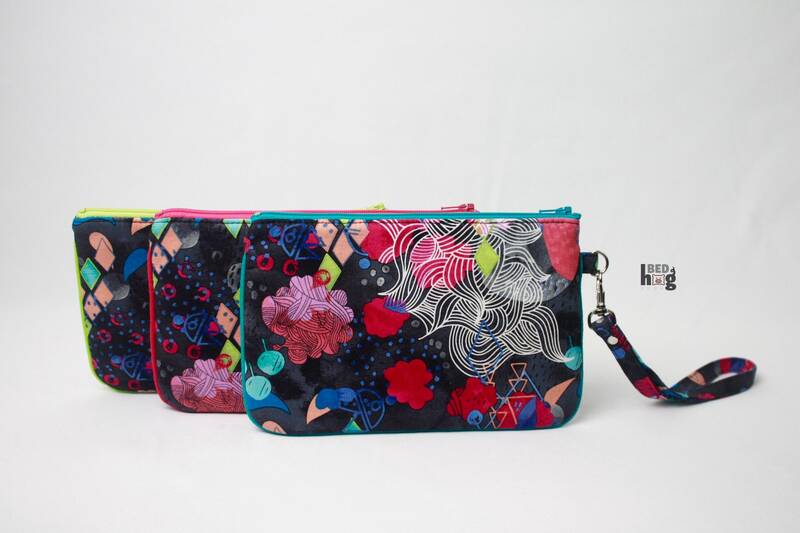 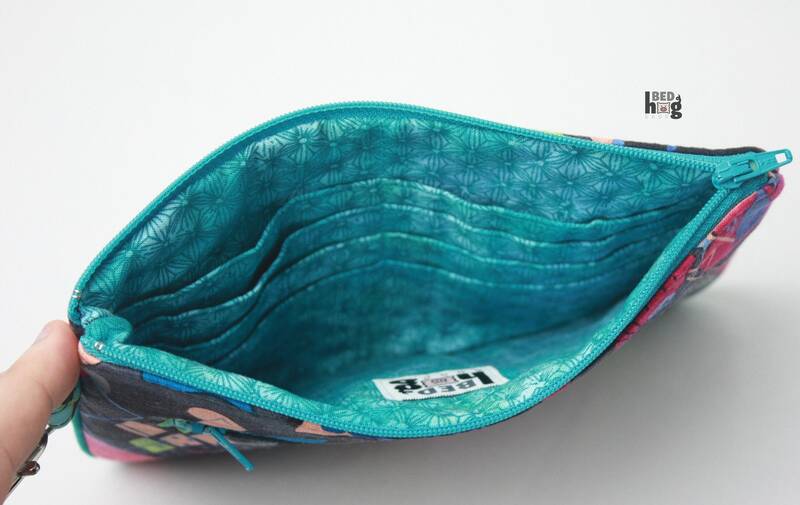 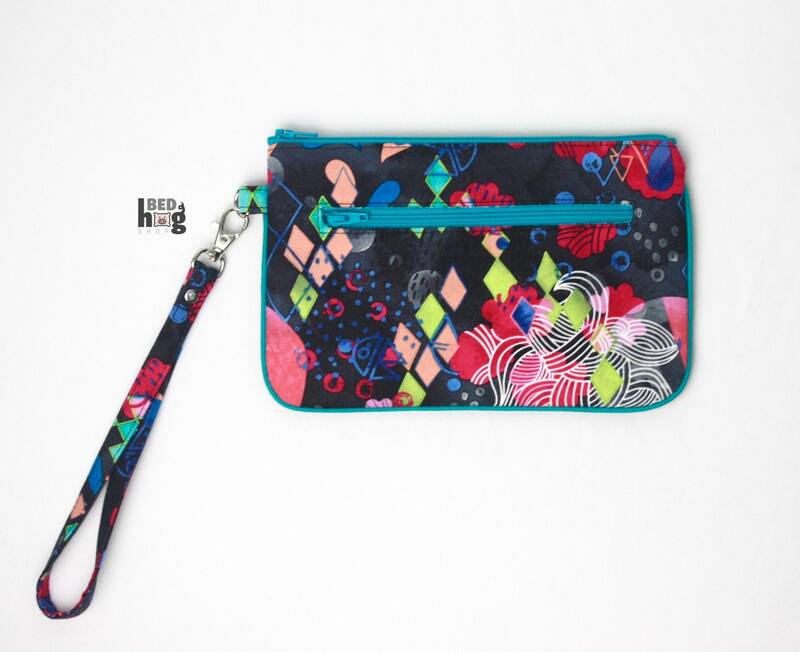 Nina Wristlet in a gorgeous abstract watercolor motif with turquoise nylon zippers and turquoise/teal piping. 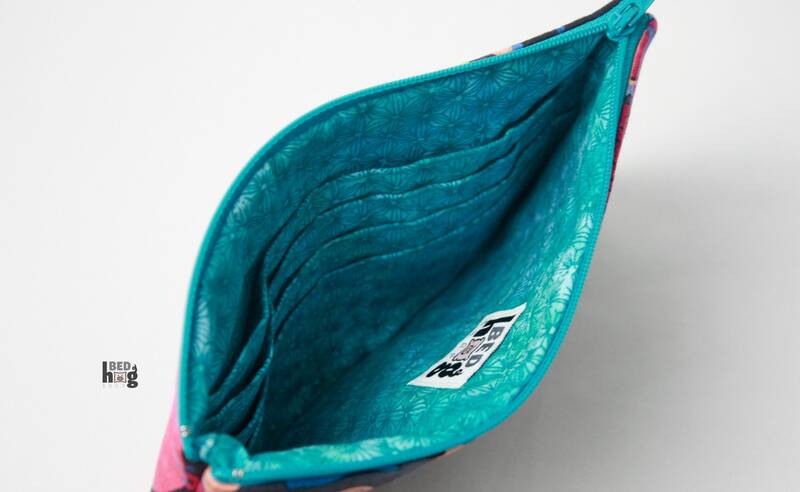 Interior fabrics include turquoise/teal tonal star circles. 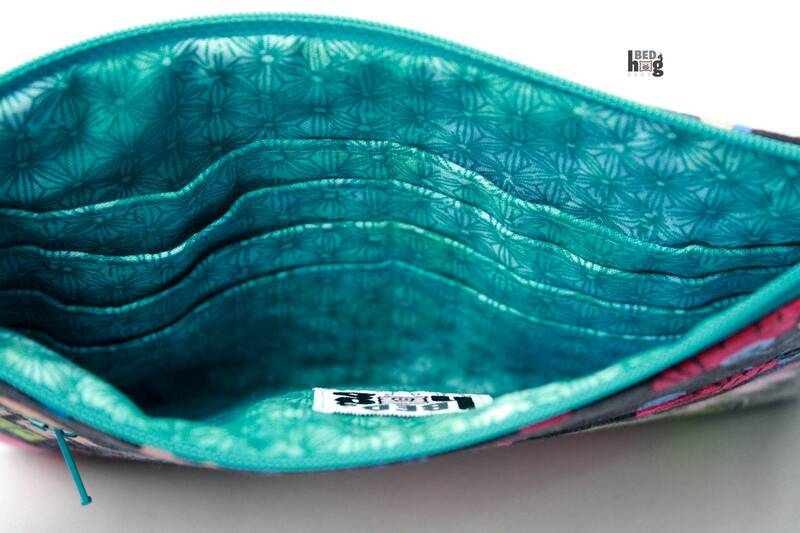 Exterior pocket is also lined with turquoise/teal tonal star circles.